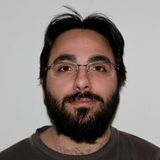 Paolo Lucente is currently part of the IP Development team at NTT Communications working in the areas of telemetry data analysis and collection. He's also the author of the free, open-source software package pmacct. Along with years of experience in the network operators arena, he focuses on the economics of traffic exchange in the public internet and contributes to standards and community forums. Previously, he held senior engineering and development positions at large national and international service providers across Europe and the regional research network in his home land in south Italy - Apulia.